Since 1968 Kuriyama has been eminently successful in developing and marketing a complete line of thermoplastic hose and accessories. 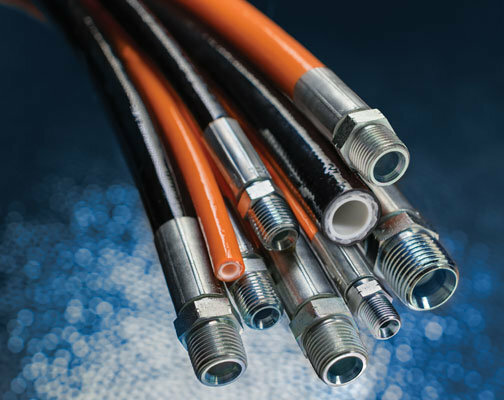 Kuriyama’s group of companies manufactures and distributes a complete line of thermoplastic, rubber and metal hose products and accessories including couplings and fittings for use in industrial and commercial applications. Kuriyama is well known for providing trusted names like Accuflex®, Alfagomma®, Hose Tec, Kuri Tec, Piranha, and Tigerflex Hose products to the industry. 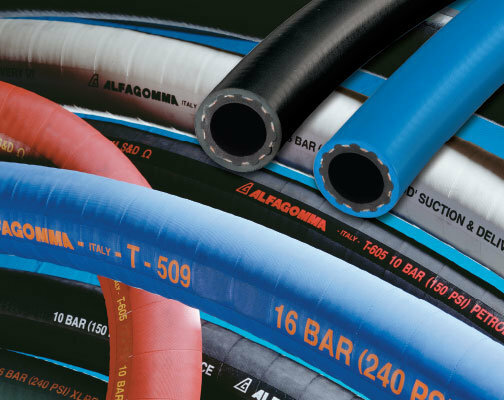 Alfagomma® rubber industrial hose products for air, compressed air, water, chemical, food and beverage, material handling, steam, petroleum and specialty rubber hose for a wide range of applications. 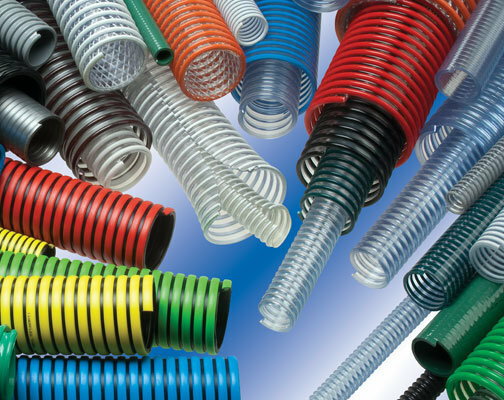 Kuri Tec® thermoplastic hose and tubing products for air/water, non-toxic breathing hose, reinforced PVC hose, low & high pressure chemical spray hose, reinforced water supply lines, clear FDA PVC tubing and specialty products such as polyurethane conductive PVC air hose and anti-static blast tubing. Piranha® sewer and jetting/lateral line hoses are for high pressure jetting applications for sewer and drain jetting. All Piranha® sewer hoses are constructed with a yellow polyolefin tube, high tensile synthetic braid reinforcement to reach the desired pressure rating, and then covered with a high abrasion resistant polyether-urethane cover for durability. 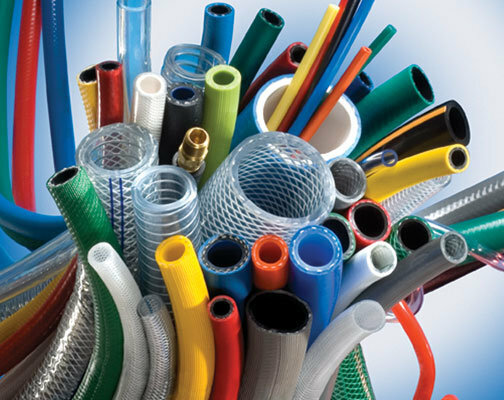 Tigerflex™ thermoplastic industrial hoses for material handling, food and beverage, liquid suction and transfer hose, ducting, petroleum and accessories. Featuring brand names like Ureflex®, Urevac®, WT, 2001, Tiger™ Green TG™, Coldflex™ and Amphibian™ with Solarguard™.